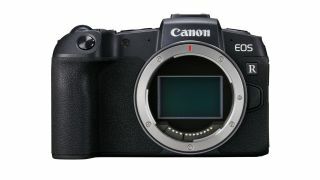 Less than six months after the release of the Canon EOS R, the company’s debut full-frame mirrorless camera, Canon has launched the second model in the RF mount family: the Canon EOS RP. Many pundits predicted that the RP would be a professional-grade model, but Canon has instead targeted advanced amateurs who are looking to move up to a full-frame system. Rather than ‘professional’, the P in the model name actually stands for ‘Popular’ – which, in a suitably Japanese sense of the word, means that this is a camera for the masses; it’s an inclusive camera. The question is, can it earn a place as one of the best mirrorless cameras on the market? We’ve been putting it through its paces in our Hands on: Canon EOS RP review, but here’s all the information so you can see if it ticks the right boxes for you. The Canon EOS RP boasts a 26.2MP full-frame sensor, with Dual Pixel CMOS AF and an ISO range of 100-40,000 (expandable to 102,400). If that all sounds suspiciously like the 6D Mark II, that’s because the two cameras are siblings in the same way that the EOS R and 5D Mark IV are – they share a lot of internal architecture and features. There are differences, of course. For starters, the EOS RP is powered by the latest Digic 8 processor. It also has the benefit of Canon’s new RF mount – which, with a diameter of 54mm and 12 electrical contacts, enables it to make use of next-generation optics such as the six new RF lenses (five of them L-series) that Canon has just announced. The biggest difference, however, is how small the Canon EOS RP is. At just 485g including a battery and memory card (440g body only), it weighs the same as an EOS 800D (body only). Further, at just 132.5 x 85 x 70 mm, it’s actually smaller than the 800D (which measures 131.0 x 99.9 x 76.2mm). When you stop and think about that, Canon really has done an incredible job squeezing the power and performance of a 765g 6D Mark II into such a tiny camera. To keep the weight down, the RP features a magnesium alloy chassis rather than the full magnesium alloy body of the EOS R. It has also ditched its big brother’s divisive M-Fn touch bar and Mode button, along with the top LCD. Instead on top, you’ll find the traditional Mode dial that Canon users will be familiar with. And the EVF isn’t quite as high res as the R, instead using the same 0.39-inch, 2.36 million-dot OLED display as the EOS M50. One thing that the RP hasn’t lost, however, is the EOS R’s Vari-Angle touchscreen, making Canon’s RF bodies the only full-frame mirrorless cameras with fully articulating screens – which makes them perfect for video. The Digic 8 processor means that the Canon EOS RP can shoot 4K, at up to 25 frames per second and ISO12800. Like the EOS R, however, 4K suffers a crop (about 1.76x) and, like the EOS M50, you can’t use Dual Pixel CMOS AF while shooting in 4K. Filming in 4K enables you to make use of the 4K Frame Grab feature, which creates an 8.3MP jpg image as a still frame from your recorded movie footage – a quick and easy way to get a picture if you wish you’d been getting stills instead of video. Still, shooting in 1080p is likely to be a more appealing option – especially for the sort of photographer that Canon expects to purchase the EOS RP. The framerate here can be increased to 60, and the ISO can be pushed to 25600 – and 1080p also enables you to use Dual Pixel CMOS AF, with no crop, making this an appealing vlogging and video camera. So who exactly does Canon expect to be interested in the RP? After all, most of the wish lists in the wake of the EOS R were for a more advanced version, not an advanced amateur one. In short, the RP is for users of crop sensor cameras who are looking to explore the world of full-frame. Photographers who use APS-C bodies like the 800D or 77D, or even an M series mirrorless like the M50 – people who are growing their photography and want to step up to full-frame, but don’t want to be lumbered with a huge camera body. As such, the battery you’ll find inside the Canon EOS RP is the LP-E17 – the very same cell that you’ll find in the 800D, 77D and M50. Canon feels that owners of these bodies are prime candidates to want to upgrade, and the prospect of being able to keep all their spare batteries will be one more reason to encourage them to move up the tree. Another reason might be that the battery can now be charged in-camera via a USB connection or power pack – always handy, for something compact enough to be a travel camera or family outing camera. In the RP, the battery is CIPA rated to 250 shots per charge. So you’re effectively getting a mirrorless version of the Canon EOS 6D Mark II with Canon’s cutting-edge RF lens mount, plus the latest processor and 4K video, all in the smallest and lightest full-frame body that the company has ever produced. Amazingly, Canon didn’t just squeeze all that tech into a tiny package – it squeezed it onto a tiny price tag as well. The EOS RP goes on sale 27 February at just £1,399.99 / $1,299 for the body and the Mount Adapter EF-EOS R, which comes with every RP and enables you to use all your EF and EF-S lenses straight out of the box. There are also a number of kits available with both RF and, surprisingly, EF lenses. While the camera with the RF 24-105mm f/4L IS USM lens is a standing bundle at £2,329.99 / $2,199 from 14 February until 13 March you can pre-order the camera with the EF equivalent of the lens (which arguably balances better on the RP). The EF 24-105mm f/3.5-5.6 IS STM bundle is just £1,599.98 /$1,699 which is a £215 saving that basically makes the lens half price. Pre-orders can also be made in that same period for the EOS RP with the RF 35 f/1.8 (which, to us, seems a perfect lens for the camera) for £1,799.98, or with the EF 24-70mm f/4L IS USM for £1,999.98 (savings of £120 and £200 respectively).